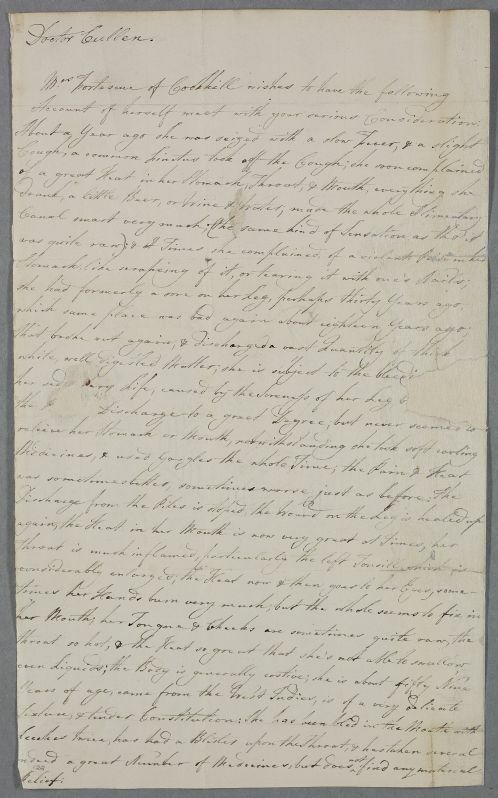 Case note sent to James Jackson the postmaster in Glasgow, describing the case of his sister Mrs Fortescue of Cookhill, by her family apothecary. 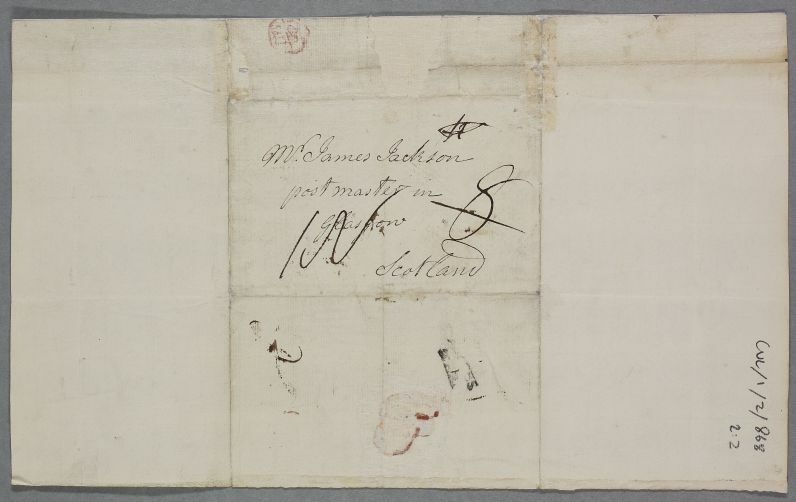 Date entered is that of the letter to Cullen with which this was enclosed (ID: 1787). An unusual handstamp is present but illegible (does obviously suggest any obvious post-office near Cookhill). Summary Case note sent to James Jackson the postmaster in Glasgow, describing the case of his sister Mrs Fortescue of Cookhill, by her family apothecary. Date entered is that of the letter to Cullen with which this was enclosed (ID: 1787). An unusual handstamp is present but illegible (does obviously suggest any obvious post-office near Cookhill). Case of Frances Fortescue who has a longstanding throat and mouth condition.